Countless stories, both historical and fictional, revolve around castles. These awe-inspiring structures are an integral part of many different cultures, and stand tall as prominent landmarks to this day. Naturally, the largest castles are most likely to make an impression on locals and tourists alike, cutting impressive figures with their sprawling walls and towering spires. While there are several different ways to quantify a castle’s size, this list will arrange 10 of the largest castles in terms of area. Let’s learn a little bit about 10 of the largest castles in the world and look at what they have to offer in terms of attractions and history. This magnificent structure perches atop a volcanic crag known as Castle Rock, and reaches an impressive 443 feet above sea level. Edinburgh Castle was twice captured by invading British forces and twice reclaimed by the Scots. The castle was later fortified with a giant cannon named Mons Meg, which can still be viewed by tourists today. 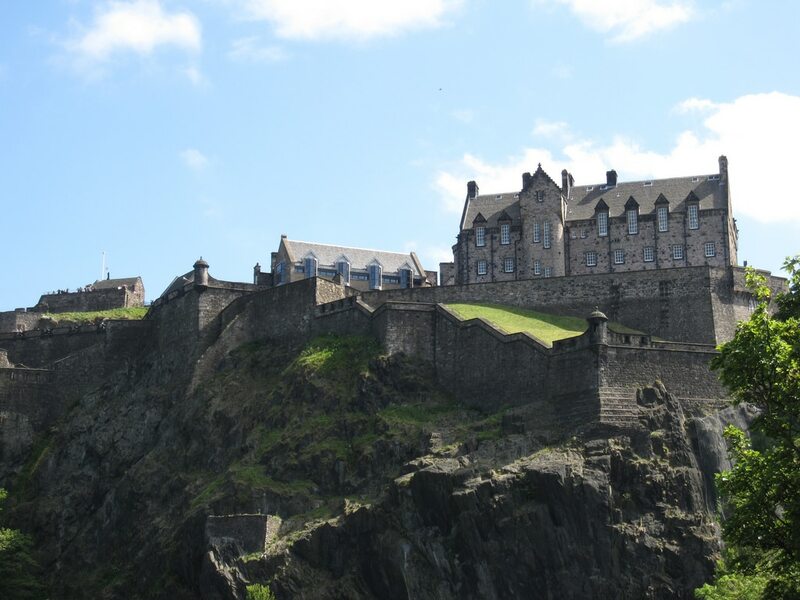 Edinburgh Castle stands more proudly than ever before after being repeatedly damaged and rebuilt throughout its history, and became the most frequently visited attraction in the UK outside of London. The castle boasts a number of attractions alongside its rich history, including the famous “laird’s lugs” or “Lord’s Ears,” which King James IV used to eavesdrop on meetings in the hall below during early 16th century. Another point of attraction at Edinburgh Castle is the Stone of Destiny, a famous symbol of the Scottish monarchy which was taken and used in countless English coronation ceremonies before it was returned to Scotland in 1996. The ancient city of Aleppo has been the crossroads of numerous important trade routes for thousands of years, and the beautiful fortified palace that stands at its center is recognized as being one of the largest and oldest castles in the world. Excavations in Al-Qaramel Hill and the surrounding areas have confirmed that Aleppo is the oldest city in the world that is still inhabited. The Citadel itself has been the focus of numerous invasions and conflicts throughout Aleppo’s turbulent history, and sadly has fallen into a state of disrepair as a result of recent persistent local conflict. Despite the rough state of the Citadel in the present day, visits are still permitted and excavations continue in an attempt to continue discovering more about the history of Aleppo. 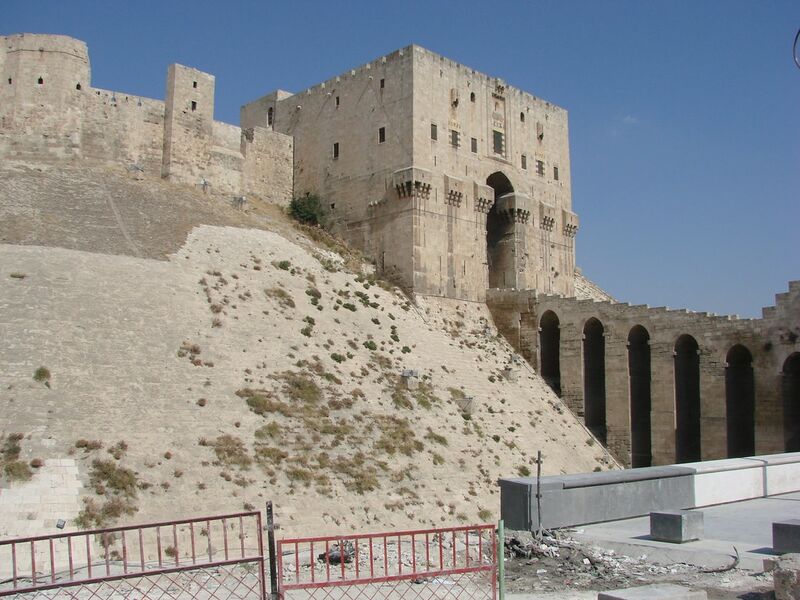 The Citadel of Aleppo is Syria’s primary tourist attraction because of its beautiful architecture and dynamic history. The massive castle towers 164 feet above the neighboring buildings, serving as a major landmark. Registered as a World Heritage Site in December of 1993, Himeji Castle stands as a Japanese national treasure and breathtaking landmark. This gorgeous structure is also called the “White Heron Castle” in reference to its graceful, white exterior that is kept pristine with a coating of white plaster. 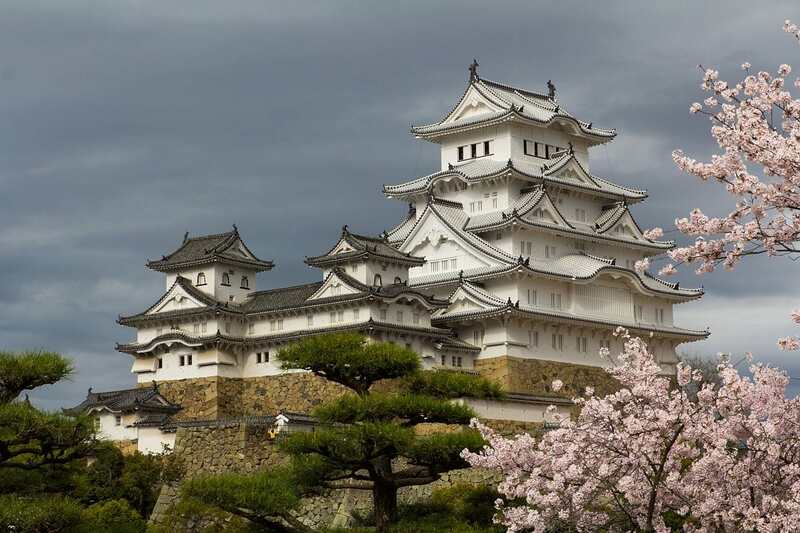 Himeji Castle is fortunate enough to have remained intact, and never endured damage from war or natural disasters. It is one of the twelve original castles of Japan. The Himeji Castle holds a special cultural significance to the people of Japan, as it symbolizes humanity living in harmony with nature. This concept is echoed by the graceful architecture and layout, which are said to be reminiscent of a Heron’s wings. A well-known host for many different exhibits and events, the Buda Castle is located on Castle Hill, on the Buda side of Budapest. Several different museums are present at this historic landmark, providing visitors with the opportunity to learn about everything from local history to the life of famous Hungarian illusionist, Harry Houdini. 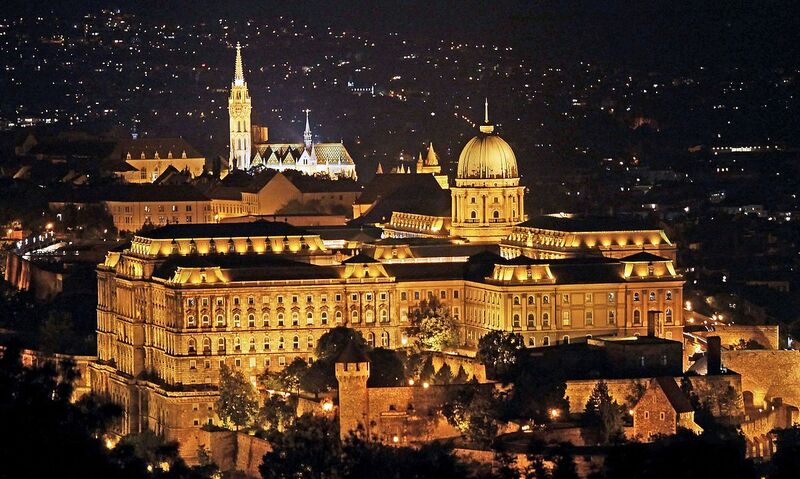 The Buda Castle was besieged 31 times throughout its history, and sustained significant damage during various conflicts. The architectural style of the castle has been changed with each rebuilding or renovation, and eventually evolved into the less lavish, more imposing structure we see today. While there is a moderate fee for guests to visit the Buda Castle itself, entrance into the Buda Castle District and Castle Gardens is usually free. The Castle Gardens frequently welcome the public to temporary exhibits and festivals. While originally Romanesque in design, the glorious Spis Castle now features more Gothic elements that make it into the striking ruin that remains to this day. The Csáky family was the last to live in the castle, and they abandoned it during the early part of the 18th century in favor of a more comfortable abode. 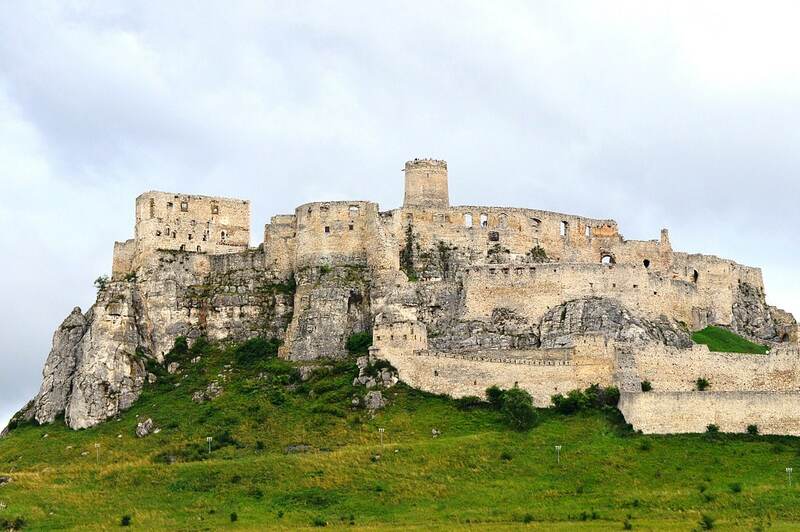 During the year 1780, Spis Castle somehow caught fire and was left to fall further into ruin until it was later partially reconstructed as official property of Slovakia. Spis Castle’s striking, distressed appearance has since been used as a filming location for the movies “The Last Legion” and “Dragonheart”. Locals claim that Spis Castle is haunted by the “White Lady,” the castle lord’s departed sister who died of grief after her young charge was kidnapped. The largest fully preserved castle in all of Central Europe, the Hohensalzburg Castle was originally constructed as protection for the principality and archbishops. The sturdy fortress served its purpose beautifully, and managed to never fall to enemy troops. 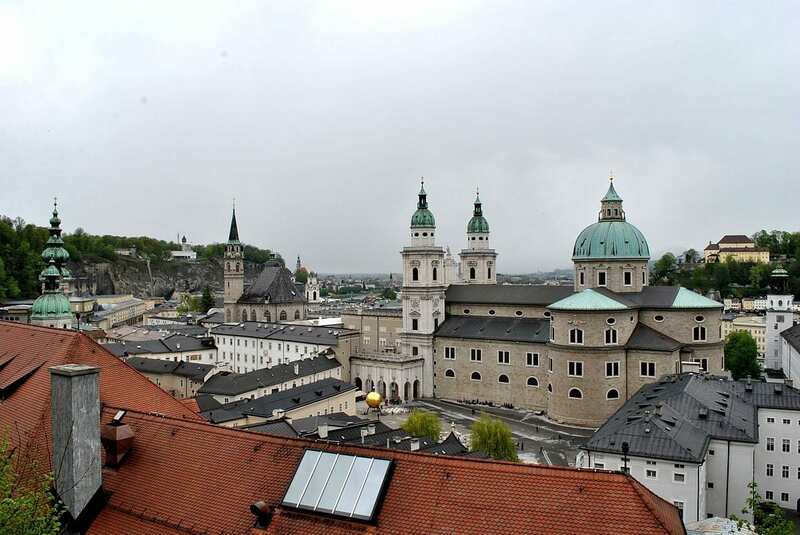 This eye-catching Austrian landmark strikes a powerful silhouette in the skyline of Salzburg and welcomes visitors to a number of museum exhibits to learn about the lives of the archbishops. Guests can also take their time appreciating the exterior architecture of the Hohensalzburg Castle, which has remained largely unchanged from its historic roots. Hohensalzburg Castle features a rather unusual coat of arms: a lion holding a turnip. Various stories suggest how this may have come about, but the most likely explanation is a representation of the agricultural heritage of Archbishop Keutschach’s family. Windsor castle is often referred to as the largest inhabited castle worldwide, and is certainly the largest in England. It’s one of the official residences of the Queen of England, who spends many of her private weekends and vacations there. The upper ward, where the private residential apartments are located, is also home to the esteemed royal library. The library’s contents include invaluable drawings by classical masters such as Leonardo da Vinci, Raphael, and Michelangelo. Some contents of the royal library were lost to fire in 1992, but most pieces were safely recovered and the damaged parts of the castle were restored. 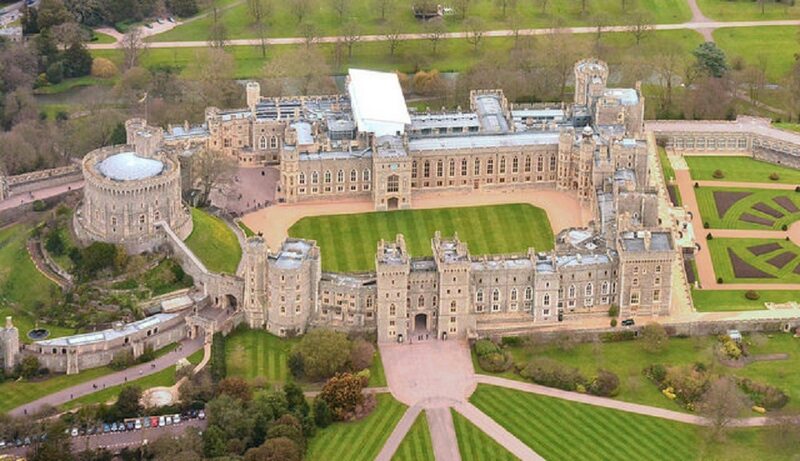 It is fully possible to visit Windsor Castle all year round–even while the Queen is currently staying there. The Royal Standard flag flies high from the Castle’s Round Tower to indicate that she’s visiting. Prague Castle is the largest coherent castle complex in the world according to the Guinness Book of World Records. The first stone building of this glorious structure was the Church of the Virgin Mary, though only sparse remnants of the original structure remain to this day. Prague Castle has undergone four major reconstructions over the years, which has given it an eclectic architectural style. The main discernible styles in the castle complex’s construction are Romanesque, Gothic, and Baroque. 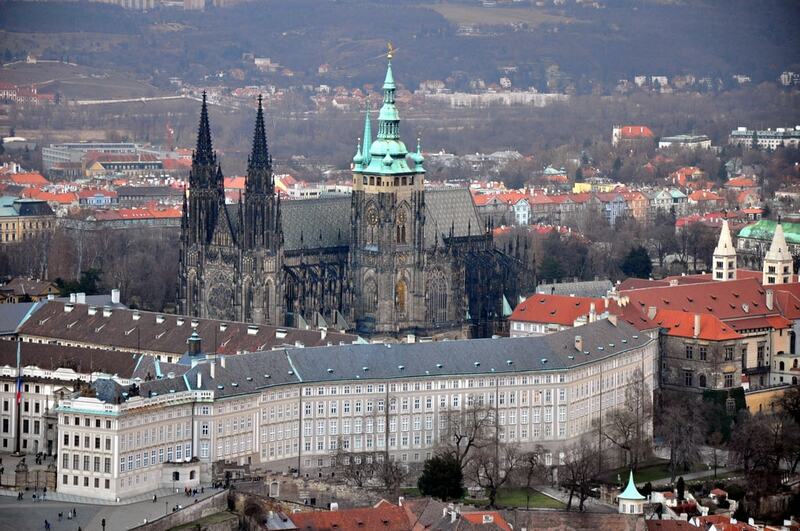 Prague Castle features the St. Vitus Cathedral, which took several centuries and multiple architects to complete. The stained glass windows are an especially prized aspect of the cathedral, having been designed by famous artist Alfons Mucha. The stylish windows of Prague Castle oversaw the origins of the word “Defenestration” when a pair of Catholic regents and their secretary were thrown out the windows for violating the right to religious freedom. While the people of India refer to grand structures like these as Forts instead of Castles, this beautiful fortress is undeniably considered to be the Indian equivalent of a castle and thoroughly deserves its place on this list. This awe-inspiring structure has seven gates through which the fort can be entered, each of which were made by different rulers. The impressive castle is located on a rocky cliff named Bhakur-cheeria, which means the “Mountain of Birds”. 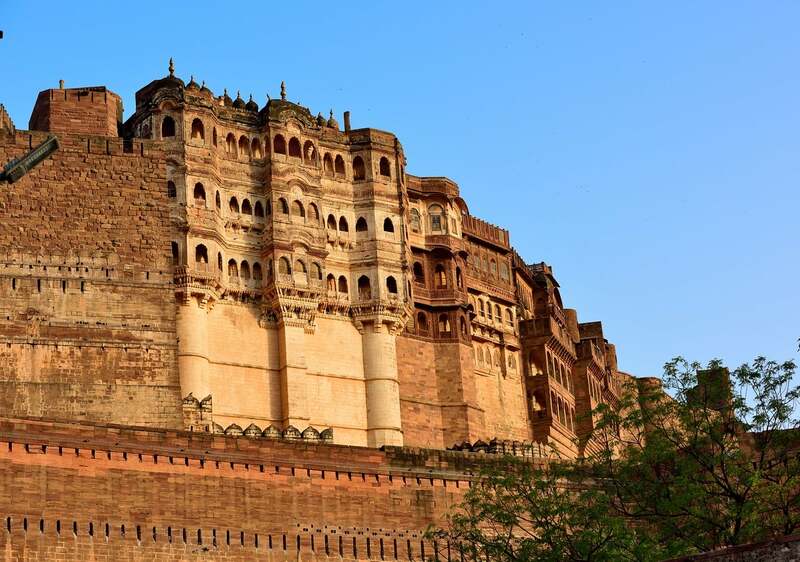 Mehrangarh Fort is a historic site steeped in legends and tall tales, including tales of curses and human sacrifice. Far from austere in appearance, Mehrangarh Fort is lavishly decorated. Stained glass windows, intricately-place mirrors, murals, and golden ornaments make this Indian castle a true wonder to behold. 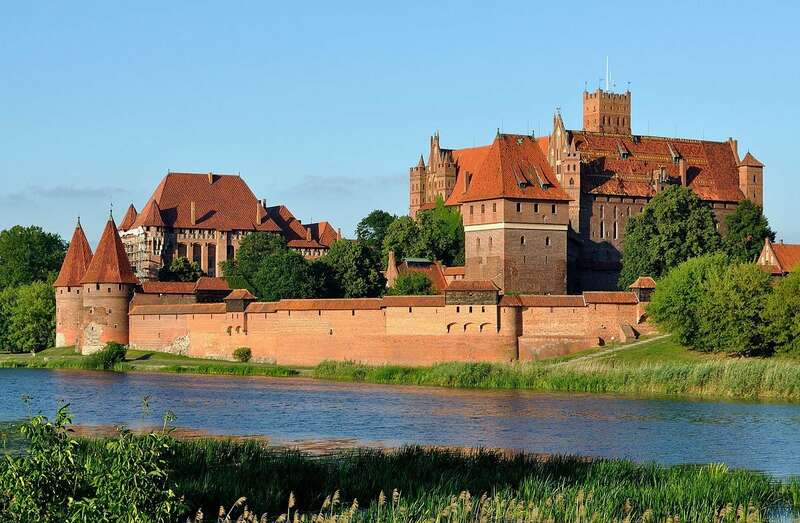 The Malbork Castle is the largest castle in the world. Also known as Marienburg or as the Castle of the Teutonic Order in Malbork, this Polish landmark is also believed to be the largest brick fortress in the world. The group of German crusaders known as the Teutonic Knights formed this colossal structure with military strategy at the forefront of their minds. The unique brick construction used red bricks far larger than we usually use today, making this castle both visually striking and nigh impermeable. Only time and disrepair wore at this castle once it was no longer used, but was fortunately restored during the 19th and 20th centuries. The garden and cemetery of Malbork Castle are one and the same, in congruence with Medieval tradition. The long-departed remains of convent knights and monks are still buried here.